DDBS Toolkit is a lightweight Java toolkit for distributed data store applications using programming abstraction. 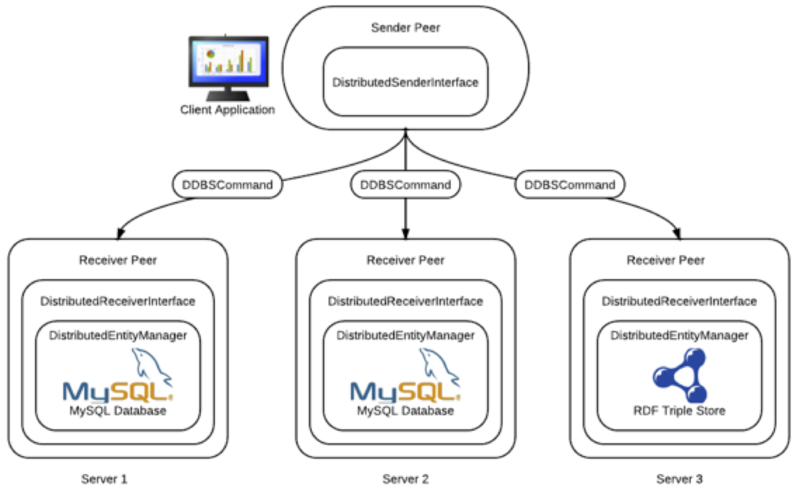 Designed for faster distributed application development. DDBS Toolkit library makes data manipulation accross a network very simple and easy to extend for your project need. 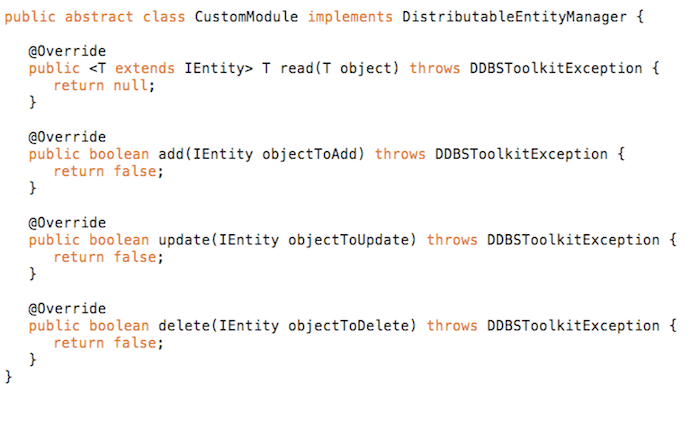 DDBS Toolkit is based of exchange on Java objects across your network. You only need to create your data model using Java classes and send your data using the corresponding interface. Each DDBS Toolkit module can be used independently and you only need to choose your needed module for your project. Every existing modules are implementing the core interfaces. You can create your own module by simply implementing these interfaces. This video shows a simulation of a fictional university with 3 databases on 3 differents servers listening to data transactions using a SQLSpaces receiver interface and a client application communicating with these databases using a SQLSpaces sender interface. 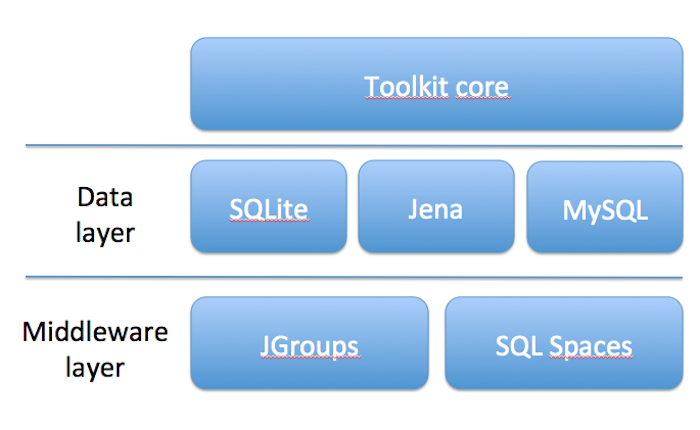 A Jena module was used to query data from a remote SPARQL endpoint and MySQL Module to store the data retrieved. DDBS Toolkit is open source. It's hosted, developed, and maintained on GitHub.